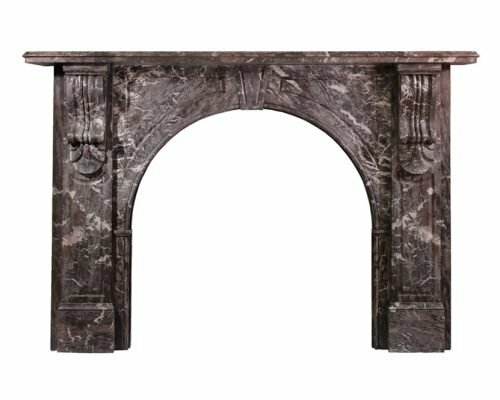 An important early 19th Century chimneypiece in the style of Henry Holland. 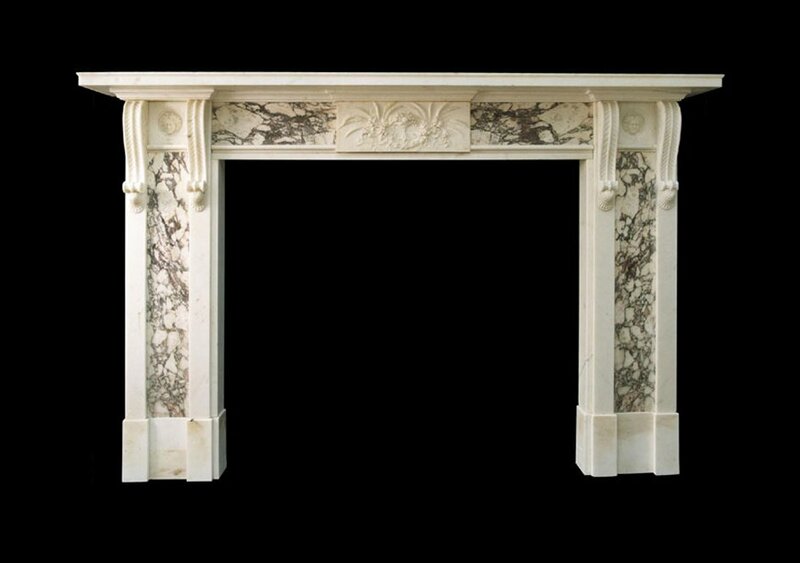 Breche marble jambs bordered by plain raised Statuary marble panels terminating in twin corbels flanking panels inset with carved female masks. The frieze has a centre tablet flanked with panels of Breche beneath a bed mould and plain mantel shelf. 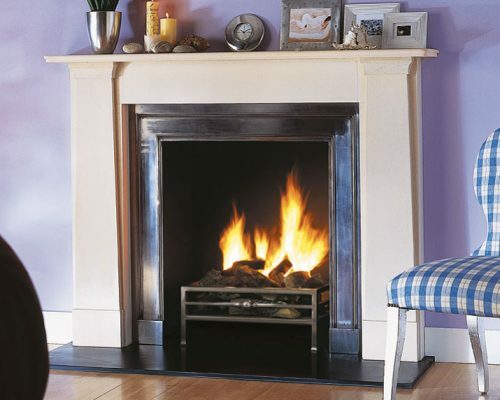 The simple but effective use of tapering pilasters in the Thomas Hope limestone fireplace makes it ideal for the contemporary interior, quite transcending the limitations of its period. 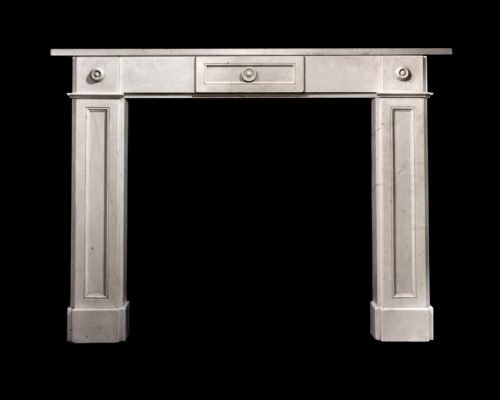 A Regency Statuary Marble Chimneypiece with bell push roundels, fielded jambs and a fielded tablet.